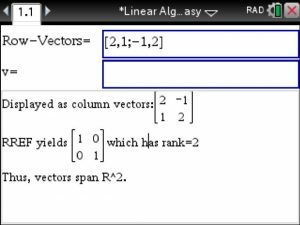 Next, enter Vectors as rows in matrix, use ; to end row(vector). 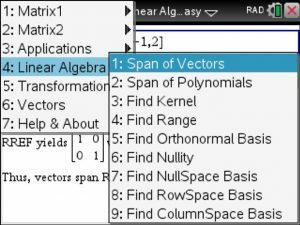 the vectors entered span R^2. Here they do. span of the vectors entered in the 1. box . vectors under the RREF option. 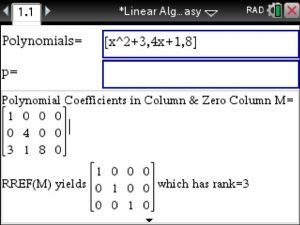 as row coefficients as shown below. span of the polynomials entered in the 1. box .